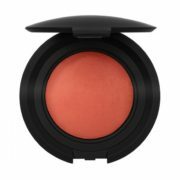 Nouba - Blush On Bubble - 227 - 57A range of translucent, natural shades to highlight the complexion and to obtain a classic bonne mine effect. Designed to provide a healthy and flattering glow. Modular texture, silky and soft, leaving a delicate veil of color on the cheeks. Talc-free formula.